Born Dec 12 19232,3 [Dec 12 19244,5,6], Illinois2,3. Phoebe A. Hinshaw, 69, of Oquawka, Ill., died at 426 a.m. Saturday, Feb. 14, 1998, at St. Mary's Medical Center. Arrangements are pending at Turnbull Funeral Home in Oquawka. 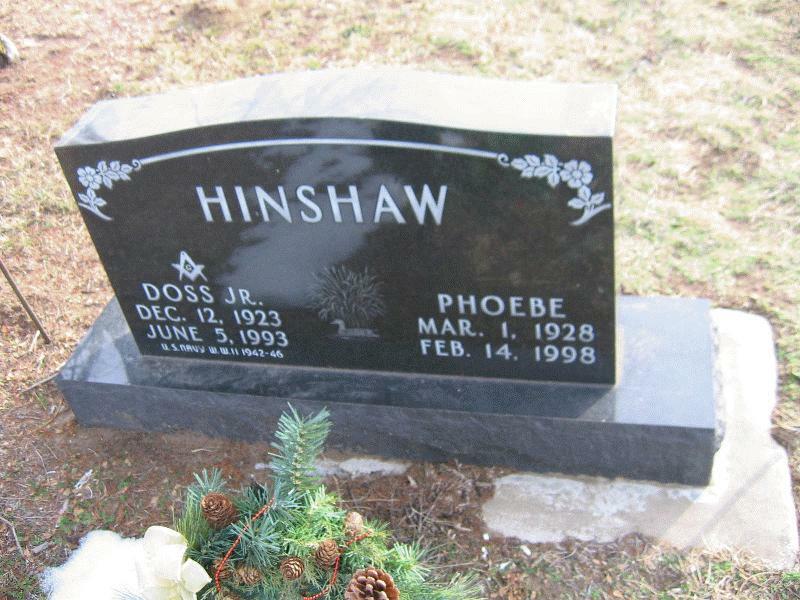 Phoebe Ann Hinshaw, 69, of Oquawka, Ill., died at 426 a.m. Saturday, Feb. 14, 1998, at St. Mary's Medical Center in Galesburg, Ill.
Born March 1, 1928, in Des Moines County, she was the daughter of Douglas Archibald and Mable Frances Tee McCabe. 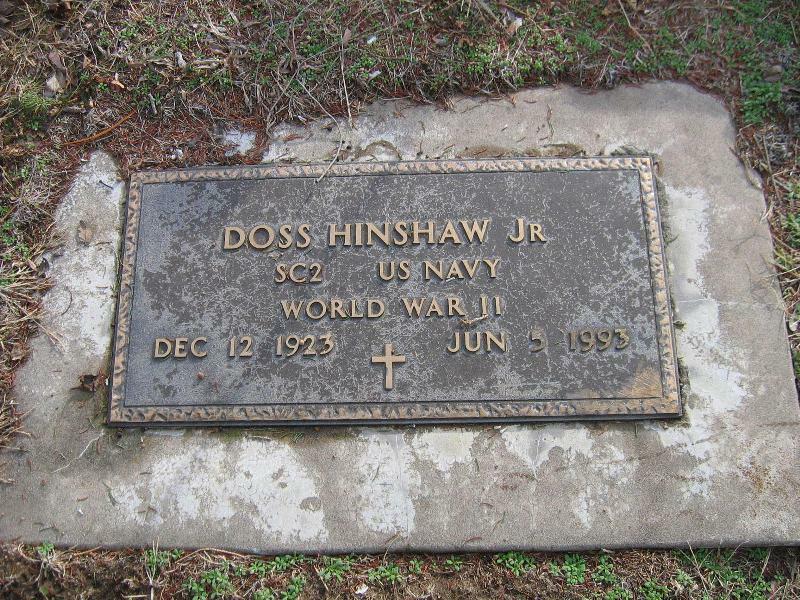 On May 13, 1950, she married Doss Hinshaw Jr. in Kahoka, Mo. He died June 5, 1993. Mrs. Hinshaw was a homemaker. She attended Henderson County Schools and was a graduate of Oquawka High School. She enjoyed her family and grandchildren, bingo and going on the riverboats. Survivors include three daughters, Susan Joy of Keithsburg, Ill., Patricia Mettler of New London and Sherry Louck of Oquawka; one son, David Hinshaw of Oquawka; 10 grandchildren; one great-granddaughter; four sisters, Gertrude Bishop of Biggsville, Ill., Sally Brewer and Lois Allen, both of Monmouth, Ill., and Deanie Schroer of Marion; and three brothers, Douglas McCabe of Oquawka, John McCabe of Burlington and Marlin McCabe of Gladstone, Ill. Besides her husband, she was preceded in death by her parents and one great-granddaughter. Visitation will be from 630 to 8 p.m. today at Turnbull Funeral Home in Oquawka. A graveside service for Mrs. Hinshaw will be at 2 p.m. Tuesday at Oquawka Cemetery, with the Rev. Robert Adams of the Light of Life Tabernacle in Oquawka officiating. A Phoebe Hinshaw Memorial has been established. 1930 census, Oquawka, Henderson County, Illinois; roll T626-518, ED 15, page 8A, line #23, dwelling #238, family #239.